President Muhammadu Buhari recently approved the appointment of Alhaji Mohammed Kari as the new Commissioner for Insurance and Chief Executive of the National Insurance Commission (NAICOM). His appointment was conveyed vide a letter signed by the Head of the Civil Service of the Federation, Danladi Kifasi. He succeeds Mr. Fola Daniel whose second and final tenure as Commissioner for Insurance lapsed on Friday, July 31, 2015. Until his current appointment, Alhaji Kari was the Deputy Commissioner for Insurance (Technical) in the Commission. The appointment is with immediate effect. From industry standpoint, Kari is bringing to NAICOM, a strategic combination of leadership and technical expertise and competence to drive sustainable growth of the insurance market in Nigeria. experience stretches from the private to the public sector where he has managed the biggest companies in those sectors. He started his career with Royal Exchange Assurance Nigeria, Kano Branch, in 1979 after completing a Diploma in Insurance programme. Two years later, he proceeded to the Caledonian University, Glasgow, Scotland to study on full-time basis; the Associateship of the Chartered Insurance Institute (ACII). On return in 1984, he joined Yankari Insurance Company where he worked until 1989, when he was appointed as Executive Director in Niger Insurance Plc. In January 1992, he was appointed to the position of Managing Director/Chief Executive of Nigeria Reinsurance Corporation, a position he held until March 1993 when he was assigned to take over the Chief Executiveship of NICON Insurance Corporation, a then leading company in the financial sector and the insurance industry. He served in that capacity until January 2000 when he resigned his appointment to set-up Arit Solutions Limited. Kari returned to Insurance management in 2007 as the Managing Director/Chief Executive of UnityKapital Assurance Plc, after consulting in the acquisition and merger of the three companies that formed the entity (UnityKapital Assurance Plc.) He completed his four year tenure and went back to full-time consulting. In September 2001, he proceeded to the University of Central England in Birmingham, UK to undertake an MBA programme. He has since graduated with a Masters Degree in Information Management. This is further enhanced by the obtainment of Professional Certification from the Learning Tree Centre in the United Kingdom for IT Management. Mohammed started and ran Arit Solutions Limited; Information and Communication Solutions Company and was the Lead Consultant in Arit Consult Limited, Insurance, IT and Management Consultancy. 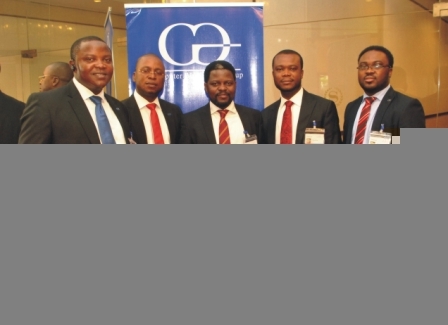 Insurance Organisation’s gold medal for excellence.